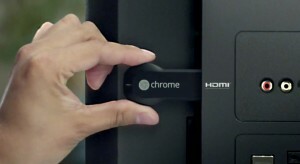 Chromecast: Future of TV Everywhere or a Waste of $35? If I’m prepared to spend $35 on Google’s Chromecast dongle, then I’ll have access to the world’s video assets overnight, right? After all, last week, Google gave every broadcaster that meets it’s Terms of Service the chance to create an app via their Software Development Kit (SDK). According to their blog, the Google Cast SDK is simple to integrate because there’s no need to write a new app. Just incorporate the SDK into your existing mobile and web apps to bring your content to the TV. You are in control of how and when you develop and publish your cast-ready apps through the Google Cast developer console. The SDK is available on Android and iOS as well as on Chrome through the Google Cast browser extension. HBO, Netflix and Hulu Plus have been in for a while and then last week AllCast jumped in and added Chromecast support, with AOL On, Vimeo and Aereo showing signs of joining soon. I’m waiting to see if the TV networks will move to incorporate Chromecast support for their TV Everywhere apps, but if the content is on my TV anyway – why do I need Chromecast? Also, they will need to consider whether password sharing is a good policy too, so the probability is low. It’s highly unlikely that Apple and Amazon with their huge amount of content and users will let Google control the end-user experience on the Chromecast. Apple has a set-top box and Amazon will soon. Gaming is an exciting opportunity for what you can do with Chromecast, as one example of an area where developers could spend more time. It’s exactly the right model. The fact that it works with your iOS phone and Android tablet and Windows laptop is true multiscreen. There’s a lot of potential there. 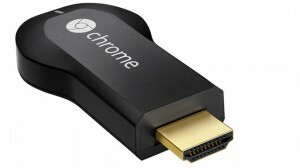 Posts related to Chromecast: Future of TV Everywhere or a Waste of $35? What is the point of your video production?